The tiny east-west subterranean dog-leg in the tunnel is extremely cramped and claustrophobic. 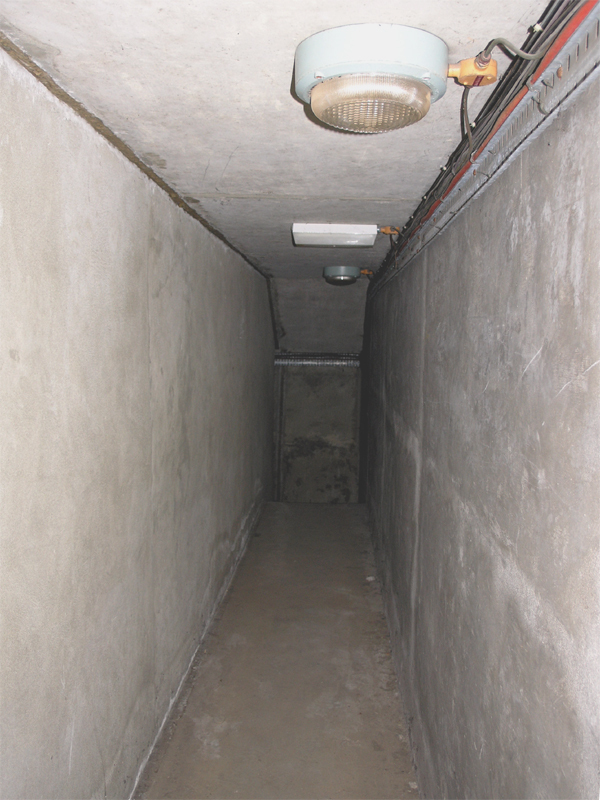 After the second twist, another flight of steps and another door, you eventually emerge in the basement of Cell 4. This was probably a simple access tunnel between Cell 3 and Cell 4. Given the lack of cabling and piping, it was probably intended for staff. Moving east along the dog's leg in the Cell 3/Cell 4 tunnel.